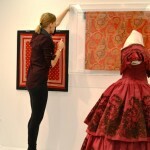 by Caitlyn Picard: MPhil Textile Conservation Student Year 2. This upcoming year, my peers at the Centre for Textile Conservation (CTC) and I are participating in a unique project. 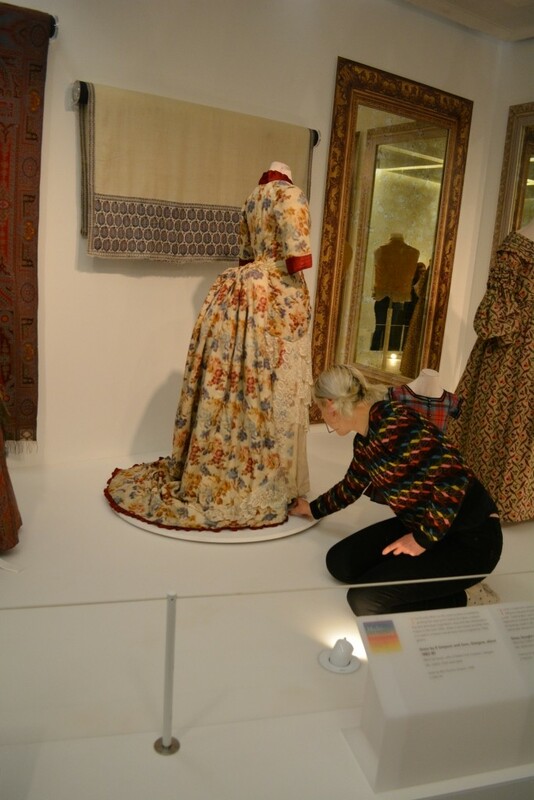 We are partnering with Glasgow Museums in a project that is designed to monitor the environmental conditions in the exhibition: ‘A Century of Style: Costume and Colour 1800-1899’ located at the Kelvingrove Museum and Art Gallery. The exhibition showcases some rarely seen examples of womenswear, menswear and children’s clothing from Glasgow Museums’ collection of European costume. It considers how such clothes were made and where they were sold, as well as revealing the stories of some of the people who wore them.The exhibition is open to the public until 14th February 2016 and many of the costumes are on open display. 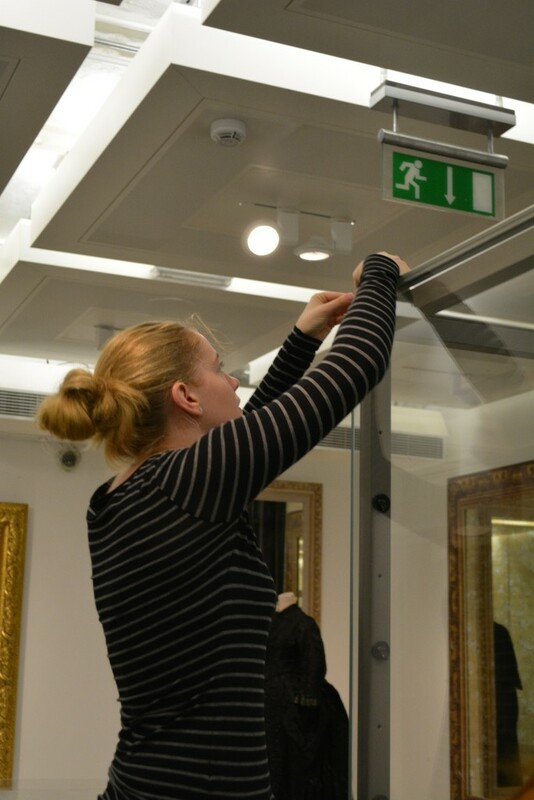 CTC students are focusing on pest management and monitoring levels of dust, whilst Glasgow Museums’ conservation staff will monitor the temperature, humidity and light levels. 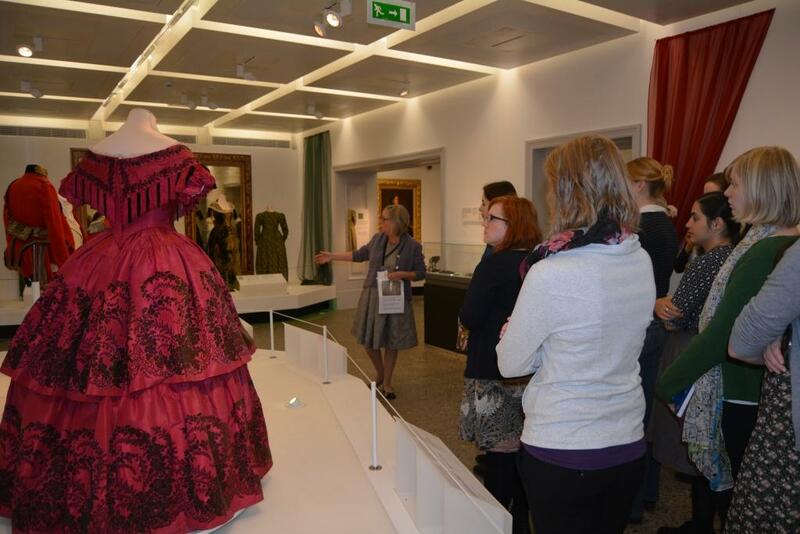 This will allow staff and students at both institutions to look in-depth at the impact of environmental conditions on future open-concept costume exhibitions. The costumes have been conserved and mounted by Maggie Dobbie (Textile Conservator, Glasgow Museums), seen here introducing the project to us. Currently, there is not a significant amount of published work with respect to the potential damaging effects of open display concepts on costumes. The majority of the current published articles speak to the knowledge that textiles become dusty but the long term impacts are not currently known. The goal of this project as a whole is to assess the impact of environmental conditions on open displays, with the intention of enabling Glasgow Museums to make future recommendations for the display of costumes. For the dust monitoring project the main aims are to quantify and characterise the dust within the gallery and discern any correlation between levels of dust and other environmental influences. The real-world application of this project is definitely an exciting feature for many of us. Since the end of September, my fellow students and I have been working hard to develop and implement a monitoring program that will enable the project to obtain accurate data within the limited budget and time frame. The monitoring equipment was placed in the exhibition a few weeks ago. In groups of two, we are assisting in any necessary cleaning and continuous monitoring of the dust levels. At the end of this project, all recorded data will be compiled and a report will be generated identifying various trends, the amount of dust gathered, rate of dust visibility and any additional key points. We are all very excited to apply what we have learned over the past year and hope that the outcomes of this project will benefit to the conservation profession. Stay tuned to read about our progress as this project unfolds and in the meantime why not go along and see the exhibition – it’s stunning!